It is rolling horribly, but such is the nature of stockinette. I reknit the front with no design, and will duplicate stitch it after blocking. 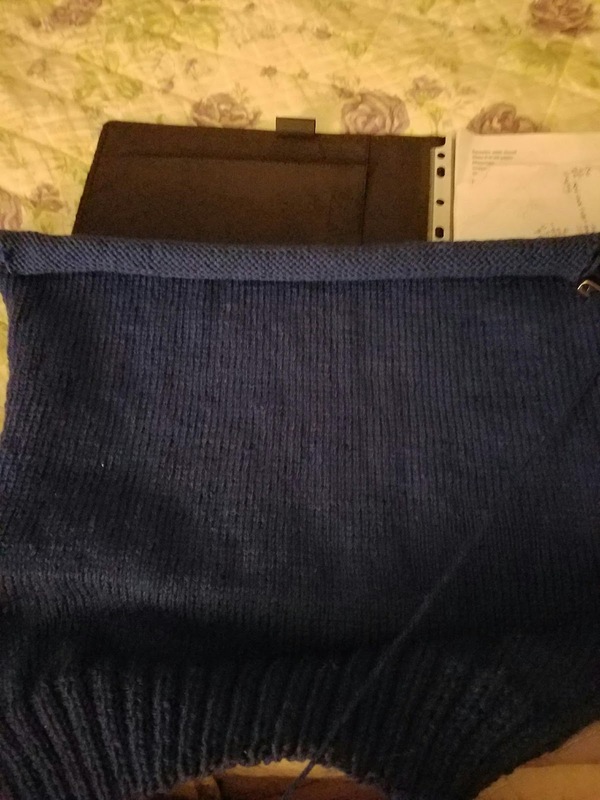 I have the back and a sleeve done, and I only have 76 stitches left on the front. I am on row 108, about to start 109, and I have to knit until row 136 for the neck shaping. That means 28 more rows, and I split the front and work the 2 sides separately. This is definitely moving slower than I would like, but there is noticeable progress being made.